Mike Matusow is easily one of the most interesting and compelling characters in the world of poker. Mike "The Mouth" Matusow is an immensely talented poker player who wages a daily war with his many personal demons. Matusow has dealt with a number of crippling addictions over his lifetime and is in his own words, a "compulsive degenerate". Matusow may be hated by some due to his over-the-top antics, but those who know him personally will tell you that he has a heart of gold. 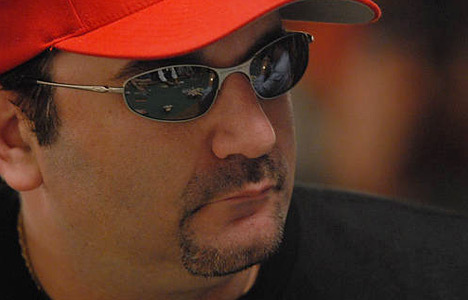 Mike Matusow was born on April 30th, 1968. He was bullied in school and developed his "mouth" as a way of defending himself. Matusow didn't attend college, instead deciding to work in his family's furniture store. Somewhere along the way he ended up becoming a poker dealer at Sam's Town in Nevada. This is where Matusow was introduced to the highs and lows of the gambling world. Matusow's first foray into the world of hard-core gambling came while playing video poker. 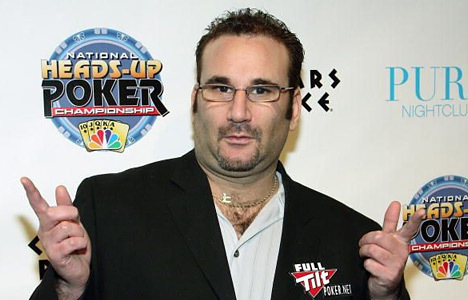 Matusow himself admits that he was "hopelessly" addicted to video poker and sometimes stole money out of his mother's purse to finance his addiction. Matusow apparently played so much video poker that he soon started to suffer from repetitive strain injury. He attended Gambler's Anonymous twice in order to try and combat the addiction. In a recent interview, Matusow said that his addiction to video poker was over once he was introduced to the world of "regular" poker, including No Limit Hold'em, Hold'em and other various games. 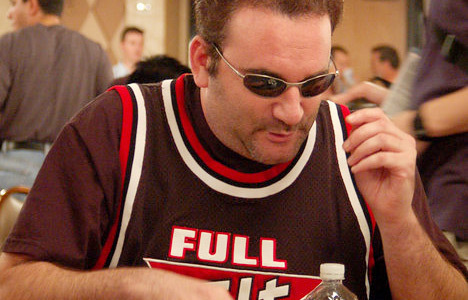 Matusow was introduced to poker by Steve Samaroff, a grinder who would stake Matusow in cash games while teaching him the game. Matusow quickly went on a tear, winning close to 250k. The problem for Matusow was that sports betting soon replaced video poker as his addiction of choice. This was an addiction that plagued Matusow for years, costing him untold amounts of dollars. Matusow claims that he would go on a good run in poker, amassing tens of thousands of dollars, only to blow it all by betting on sports. This is a pattern that would repeat itself many times during Matusow's career. Matusow learned many variations of poker including No Limit Hold'em and Omaha Hi/Lo 8/b. Matusow is regarded as one of the best Omaha Hi/Lo players in the world, and is also one of the best NLHE tournament players when he has his mind in the right place. He has cashed in six World Poker Tour events, including making the final table of three. He came within a hair of winning a WPT title in 2007 when he came in second place at the Bellagio Cup event for 671k (finishing second to Kevin "Belowabove" Saul). He has made two final tables of the World Series of Poker main event, finishing in sixth place at the 2001 main event and in ninth place at the 2005 main event. He has 21 World Series of Poker cashes to his name. Matusow also famously backed Scotty Nguyen in the 1998 main event, cashing for a total of $333k when Nguyen took down the main event for a million dollars. Matusow bought Nguyen's way into numerous WSOP main event satellites and ended up with a big score for himself when Nguyen took down the event. Matusow also has a number of other high profile cashes including a first place finish at the 2005 Tournament of Champions which was worth one million dollars and a first place finish at the Poker Superstars III Championship which was worth $500k. When Matusow has his head on straight, he is a player to be reckoned with. The problem, of course, is that Matusow often doesn't have his head on straight. As mentioned, he has battled with an addiction to video poker and sports betting. Matusow has also battled an addiction to a certain lifestyle, a lifestyle which landed him in jail for six months. Matusow will often talk about the "crazy" life that he used to lead, which would include wild parties at his house that were filled with girls and drugs. 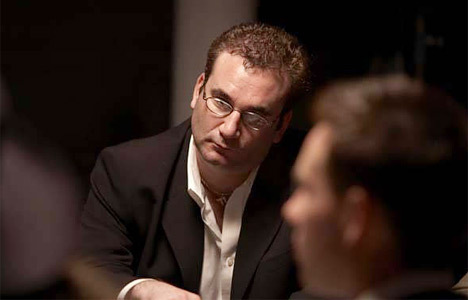 Matusow's connection to drugs landed him in jail in late 2004 - early 2005. Apparently a "friend of a friend" befriended Matusow and quickly earned his trust. This "friend" asked Matusow if he could get him some cocaine, which Matusow gladly did. Matusow was immediately arrested as this "friend" turned out to be an undercover cop. The cops immediately offered Matusow a deal - tell us who supplied you with these drugs and you won't go to jail. Matusow refused to talk and ended up spending six months in jail. Ironically, the jail was only a block away from Binion's Horseshoe. Matusow got out and asked his friend Phil Hellmuth Jr. for a stake. Hellmuth Jr. supplied it, sending Matusow some money on Ultimatebet. Matusow soon went on a run, racking up a considerable amount of money playing under his "dill pickle" alias on Ultimatebet. Hellmuth and Matusow may tangle often on the poker tables, but Matusow has always been grateful to Hellmuth for helping him out during his time of need. Upon being released from jail, Matusow was depressed and despondent. He soon switched anti-depressant drugs, a move that he credits with helping him to make the final table of the 2005 WSOP. A few months later, Matusow also took down the 2005 Tournament of Champions. Matusow had won over $2 million dollars in just a few short months. Matusow constantly seems indebted to others. After placing ninth at the 2005 World Series of Poker for one million dollars, Matusow said that he wasn't that happy due to the fact that this money would just be going towards paying off his many debts anyways. Matusow may have many debts, but everyone that I talk to says that he always pays them off eventually, no matter what. Another weakness of Matusow's is his tendency to tilt while playing online. According to Matusow, this tendency has cost him millions of dollars over the years. It has gotten so bad in the past that Matusow's friends have actually come over to his house and confiscated his laptop so that he can't play online. As with everything else that he does, when Matusow is on his "A" game he can be a very tough and solid player online - however, when he tilts, he is easily one of the worst. Despite all of his ups and downs throughout his career, Matusow is still doing well. He owns a beautiful 3500+ square foot home in Henderson, Nevada and drives a car that cost him nearly $100k. He has a lucrative sponsorship agreement with Full Tilt Poker and is an original member of "Team Full Tilt", which likely means that he has a small equity stake in the company as well. He also has other business relationships, including a deal with Pokersavvy. Matusow is one of poker's great characters. There is one thing for sure - when Mike Matusow is sitting at your table, you are not going to have too many dull moments.